A detail of Michelangelo’s Sistine Chapel. Paul Tillich once said that doubt is not the opposite of faith, but, rather, certainty is the opposite of faith. This paradox of certainty and faith has created a multitude of chasms and splits among Christians over the centuries, but more so over the last 150 plus years. Since the period of enlightenment, and especially in the 19th century, the role of proof and certainty in western Christian dogma has grown extensively. During this time, there has been a much greater emphasis on developing proof that Biblical events are historical. I was struck by this paradox once again while attending an Easter worship service celebrating the Resurrection of Christ. In the message, the pastor acknowledged that he was not sure if Jesus physically rose from the dead. I have been a practicing Christian all my life, and this was the first time I have ever heard a pastor admit his or her own doubts concerning an actual physical resurrection. I found his vulnerability and openness to be refreshing and reassuring, as it affirmed my own questions and wonderings about the resurrection, as well as other Biblical events. However, my point here is not to discuss Christian dogmatics or hermeneutics, but rather to focus on the struggle many clients bring to the therapy room concerning their interactions with God or the Sacred. I believe spirituality and faith are key elements in the therapeutic process. This is not simply an issue of whether one believes in a Supreme Being or not, but rather how one experiences that which is Sacred or Holy in his or her life. In contrast, Moriarty and Hoffman define “God image” as “the way a person emotionally or relationally experiences God, images of God refer to pictures, or images in which God is illustrated wither graphically or mentally” (p. 4). Tillich frequently discussed symbols of God, and these symbols were images of the God beyond God. 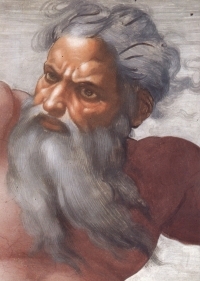 This differentiation of “God concept” from “God image” speaks to the paradox many people experience in their spiritual development and understandings. Whether or not one has been raised in a church environment, in American culture it is very difficult to have a concept of a Higher Power that is not based on teaching and knowledge. Moreover, much of this cognitive instruction has been presented as certainty and fact, leaving the individual with little room to question or debate what has been presented. However, there have been voices challenging this idea of certainty about the nature of God, as well as the concepts of faith and spirituality. Kierkegaard detested the rationalism that blossomed in his lifetime. He believed that what made something valid and true was the application or subjective experience of a truth. James also championed the significance of personal experience to validate ones beliefs and understandings. More recently, research (see, e.g., Hill & Hall, 2002; Hall & Porter, 2004; Hoffman, Grimes, & Acoba, 2005) has demonstrated that symbols and experiences are of a greater influence in shaping one’s perception or idea of the Divine. This difference between “God concept” and “God image” is important to the therapeutic process because it speaks to an individual’s awareness or conception of his or her spirituality. The client’s level of awareness plays a significant role in his or her worldview, as well as many of the life experiences he or she has been through. Because one’s spirituality is such an influential element in the client’s life, I believe it is important to explore with the client his or her experiences of the Sacred. Like most budding psychologists, I was instructed to ask the client his or her preference or permission concerning discussions of religion and faith. While I agree a good therapist needs to respect the parameters established by the client, I also believe it is important to make the client aware of the significant influence spirituality or faith plays in his or her life. Much like exploring other existential themes such as death or connectivity, exploring the individual’s religious or spiritual experience provides greater insight into how the client has interrupted his or her life experiences up to this point. What I have encountered in these conversations with clients often brings forth the tension he or she is experiencing in regards to his or her concept of God versus his or her image of the Holy. Most often the client is only minimally aware of the paradoxes he or she is living with concerning what they have been taught over and against what they have or are experiencing spiritually. In bringing these tensions to the surface, validating his or her spiritual experiences, the client often feels a sense of relief and freedom which in turn broadens his or her perspective about the presenting problem and related issues. I believe empowering the client to explore and identify the paradoxes and tensions related to his or her spirituality enables him or her to live a much fuller and deeper life. Moriarty, G. L. & Hoffmn, L. (ed.) (2007). God Image Handbook for Spiritual Counseling and Psychotherapy: Research, Theory, and Practice. Binghamton, NY: Haworth Press.